We share the road with 18-wheelers, big rigs, tractor-trailers, commercial trucks and semi-trucks each and every day. When involved in an 18-wheeler accident, the resulting injuries can be devastating and even fatal. According to the National Center for Statistics and Analysis (NCSA), each year approximately 5,000 people die in 18-wheeler accidents, and an estimated 140,000 are seriously injured. 18-wheelers are responsible for 12% of all traffic fatalities, which is 12% too many. In a collision between the average 4,000 pound car and an 80,000 pound tractor trailer truck, there really is no contest. Due to their bulky design and heavy cargo, many 18-wheelers have poor maneuverability. They often build up momentum when driving and need longer braking distances. Under certain circumstances, this crushing force can lead to detrimental accidents and injuries/death. It is imperative to consult with an attorney that has significant experience in 18-wheeler accidents. Due to the nature of these claims, 18-wheeler accidents are far more complex than car accidents. Many trucking companies are looking out for their best interest, not yours. In fact, a lot of trucking companies have a team of attorneys, and they and/or their insurance representatives will be at the scene of the wreck within hours of the event. We will work with you to analyze your case by researching the facts and reviewing any evidence to determine fault and prove negligence. For commercial trucks, review raw data from the black box and GPS devices. There are also several rules and regulations which apply to accidents involving tractor-trailers or 18-wheelers. Trucking companies must follow the rules created by the Federal Motor Carrier Safety Administration (FMCSA). These rules and regulations include but are not limited to: driver rest periods, specific driver logs and mandated insurance coverage. So, before you file a claim against a tractor-trailer company for damages you incurred in an accident, you should consult with an Alabama law office with a truck accident lawyer who is knowledgeable with the FMCSA guidelines. 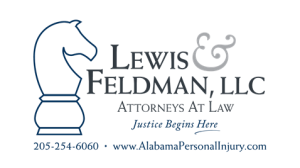 If you or a loved one has been injured or killed in an 18-wheeler tractor trailer accident, please schedule a free initial consultation and case evaluation by calling the law office of Lewis & Feldman, LLC locally at 205-254-6060, toll-free at 888-295-7409 or complete our contact form. You can also email us at jon@LewisAndFeldman.com and dfeldman@LewisAndFeldman.com. We’re the truck accident lawyers serving Birmingham, Bessemer, Hoover and the state of Alabama who can help you receive the justice you deserve.